On her YouTube channel “Ahsante the Artist” she makes videos on personal development, social awareness, and self care that inspire her audience to move consciously and creatively through life. She is dedicated to uplifting marginalized voices, with videos covering intersectionality, allyship, and highlighting the experiences of women of color. Ahsante has been a featured creator at VidCon, the largest international conference for online video, and is a 2018 YouTube NextUp winner. She has produced content for Microsoft, WNET, and VSPINK, among others. 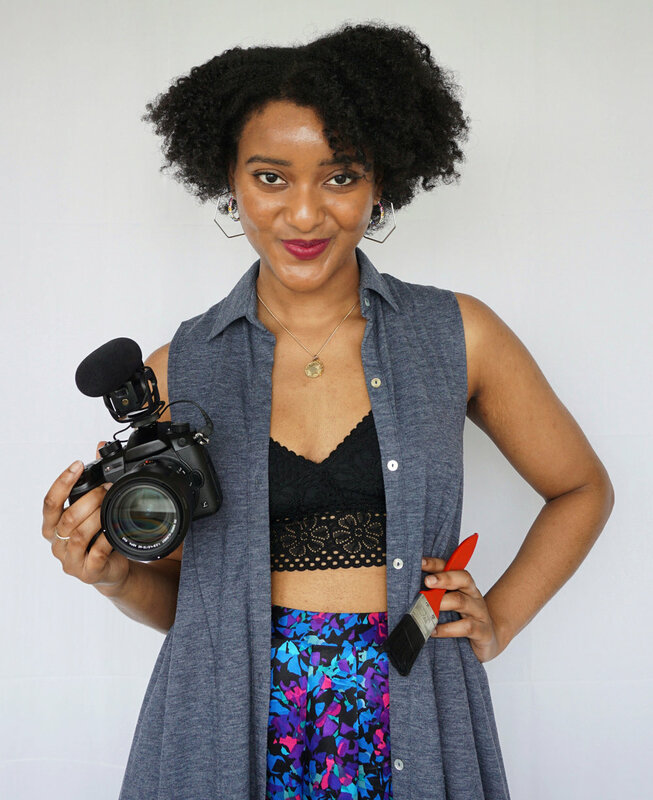 Her work has been featured in The Washington Post, Buzzfeed, MSNBC, The Root, and in the Museum of the Moving Image. Ahsante holds a B.A. in Film & Video from Harvard University. She’s currently based in Washington, D.C.
Janelle Monáe is my Q.U.E.E.N.